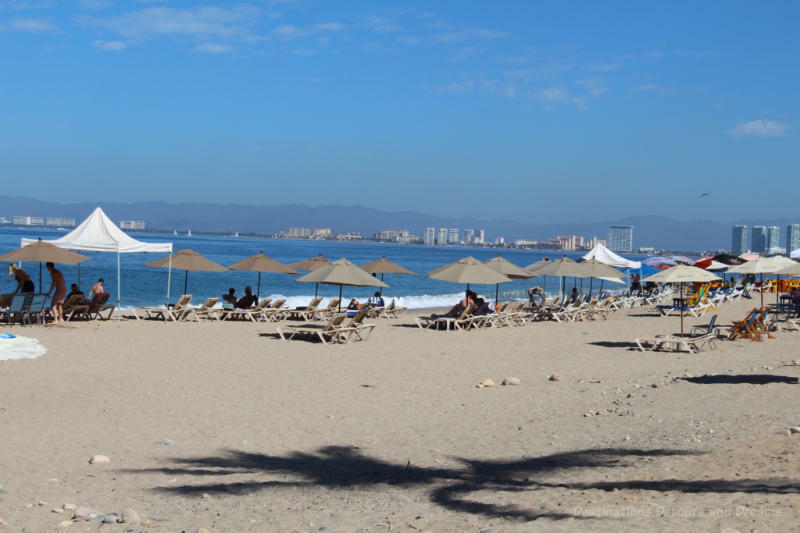 Tourism is Puerto Vallarta’s main industry and it is relatively easy for new visitors to find their way around and enjoy themselves, but knowing a few basics about life in Puerto Vallarta can help get a holiday off to a good start. 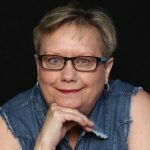 When my husband, sister and I visited Puerto Vallarta for our first time, renting a condo in the heart of the Romantic Zone, tips a frequent Puerto Vallarta vacationer shared with us were a big help. 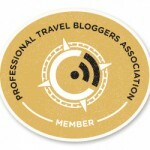 I now share those tips, along with some insights from our own experience, in hopes they may be of use to others. 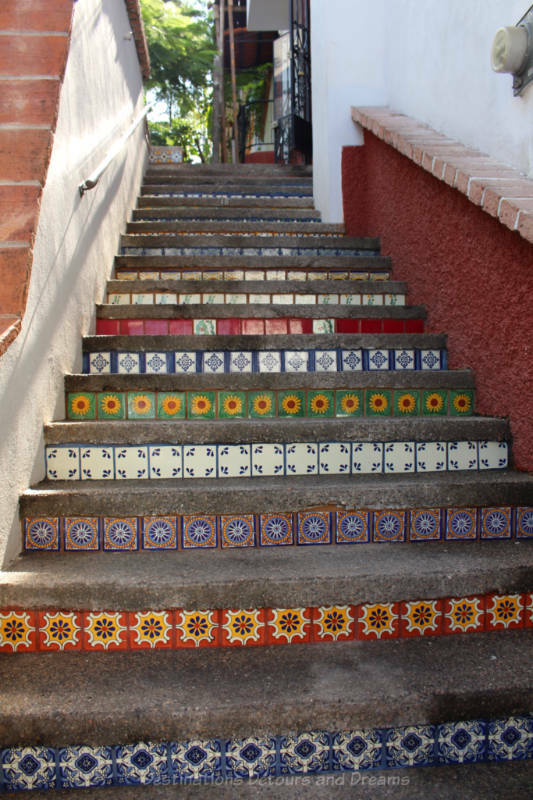 Walking is the best way to explore the main tourist areas of Puerto Vallarta. Things are not all that far apart. It is worth noting that sidewalks and cobblestone roads can be uneven. Puerto Vallarta rises upward as it moves away from the beach. Hills can be steep at some points. Taxis are plentiful and economical. You can flag one down as it passes or find one at designated taxi stands in the prime tourist areas. There is no meter. The city is divided into zones and there are set rates by zone. Agree on the price before entering the taxi. 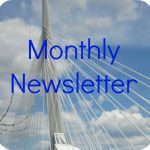 Tipping is generally around 10%. Even with supposed set rates by zone, we encountered differences in amounts quoted from one driver to the next. There would sometimes be room for barter. However, I sometimes needed to remind myself that the difference we were bartering over worked out to less than $1 Canadian. On the couple of times we took a taxi from the heart of the tourist Romantic Zone to a more local area of the city, we found that the taxi fare for the ride back was slightly cheaper than the ride originating in the tourist area. Note that the taxis at the airport are specially licensed and more expensive than the regular taxis around the city. Another thing we noticed is that, although we could easily manage throughout most of the city with English and a few words of Spanish, many taxi drivers seemed to know very little English. I was glad I knew basic numbers for discussing fare. I generally wrote down destinations. Even when I did say them in Spanish, my pronunciation caused trouble. There is a system of buses running through the city. This can be an effective (and even cheaper than taxi) way to get around, but it can be confusing at first, especially as there are no published schedules or maps. We managed to get around on buses with advice from a friend plus assorted bits of information I found posted online by other individuals. 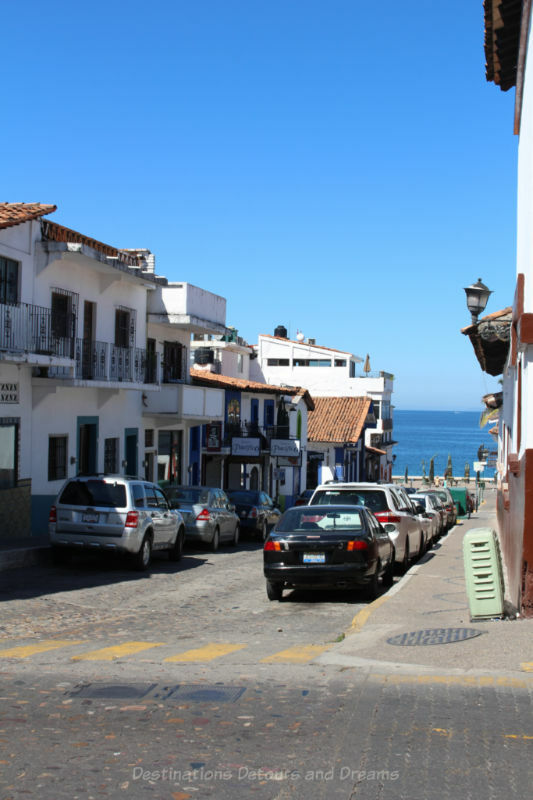 Buses run relatively frequently down Puerto Vallarta’s main thoroughfare, Francisco Medina Ascencio. The southern terminus is at Lázaro Cárdenas Park in colonia Emiliano Zapata. Signs on the front window usually list the main stops. Also on the front window of these buses will be a sign saying Centro or Tunel. Centro buses run through the El Centro neighbourhood where you’ll find the Our Lady of Guadelupe Church and the Malecón. If you want to see sights downtown, make sure you take a Centro bus. The Tunel bus takes the Libramiento overpass and avoids the heart of downtown. It can be quicker if your destination is either the Romantic Zone or north of where Libramiento joins Francisco Medina Ascencio. According to one article I found on the Internet, the colour on the bus can help you identify its route. Blue buses stay on the main thruway via either Centro or Tunel. Green buses head to more local areas. I discovered this information near the end of my stay and didn’t have time to either verify the information or properly use it. Quaint change box on one of the buses. Fares are one-time use with no transfers. It is best to have exact change. On some buses, drivers might give you change, but that may not be the case on newer buses. You will be issued a ticket when you pay the driver. Hold on to your ticket in case an inspector comes onto your bus to verify passengers have tickets. Don’t be surprised if someone comes on board to entertain you, singing or playing an instrument. They expect tips. Note also that buses aren’t air-conditioned, although the windows open. The quality of the buses I took varied. The ride can be bumpy, particularly in an older bus and on rougher streets. 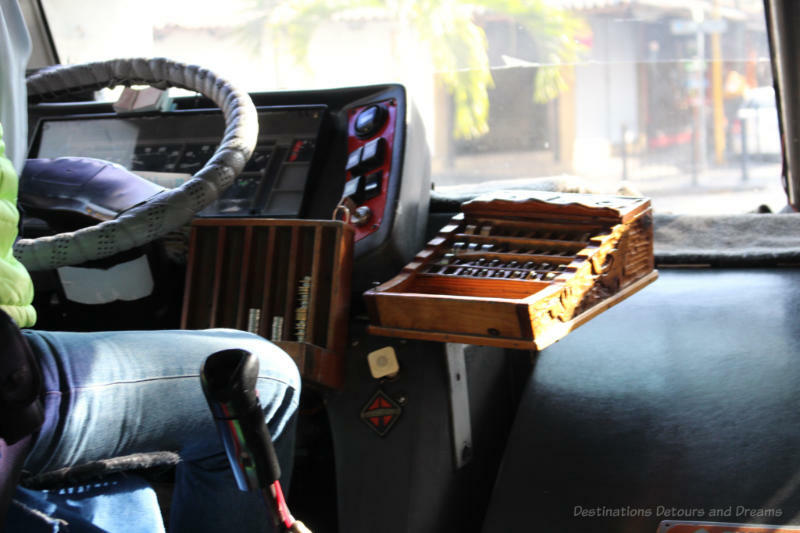 It is also possible to take regional buses to visit areas outside of Puerto Vallarta. 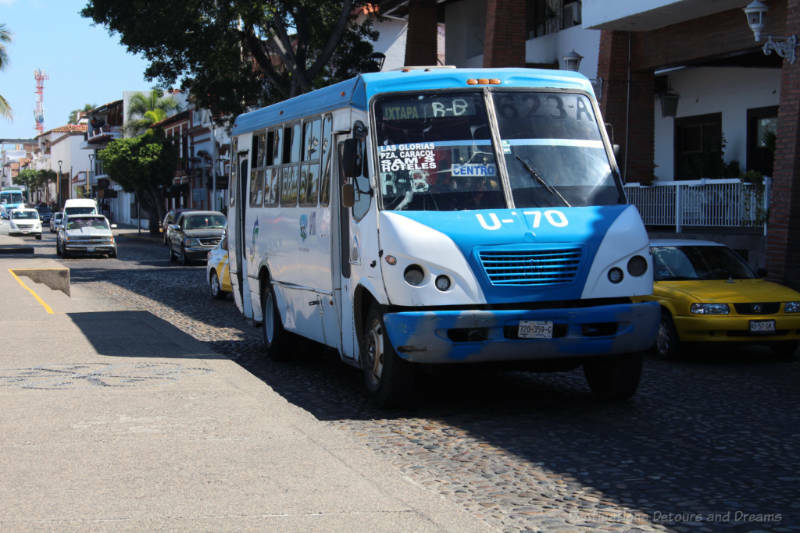 Buses to Sayulita and Bucerias are caught on Francisco Medina Ascencio in front of Walmart. 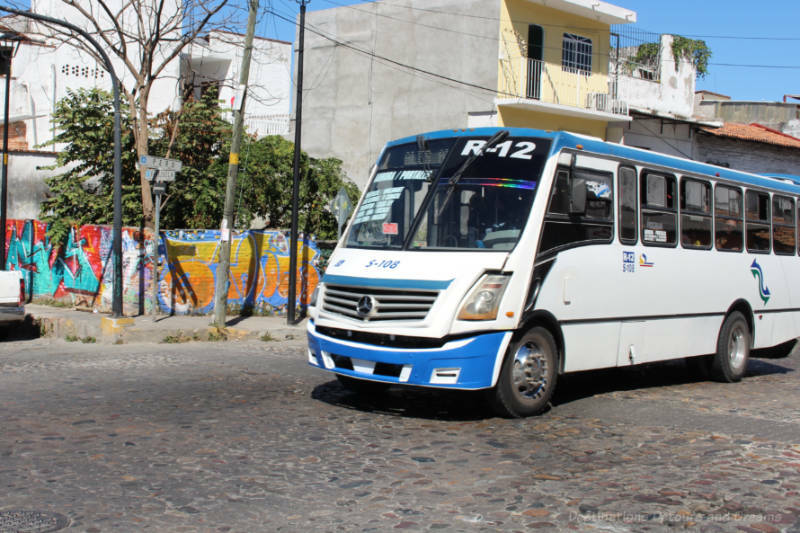 Buses to the South Shore, Mismaloya and Boca de Tomatlán depart from the corner of Basilio Badillo and Insurgentes streets in colonia Emiliano Zapata. Buses to the Botanical Garden and El Tuito leave from the corner of V. Carranza & Aquacate, also in colonia Emiliano Zapata. 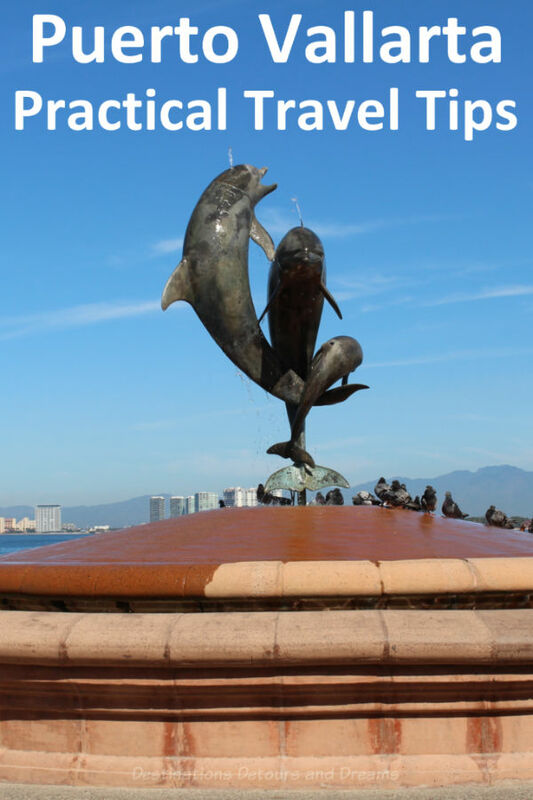 Puerto Vallarta has state-of-the-art water treatment and purification systems. However, in many areas, pipes carrying the water are old and can introduce contaminants into the water. You are safer to stick to bottled water for drinking and cooking. Many resorts have their own filtration systems and will let you know what water is safe to drink. Bottles and water-cooler-sized jugs of water are generally available at supermarkets and the “mini” grocery stores prevalent throughout the tourist areas. We paid the maintenance man at our condo to get us new jugs of water when we were getting low. Ask whomever you are renting from for the best location or method for getting water. If you are planning to do some of your cooking or even just have snacks or fruit around, you need to know where to get groceries. There are numerous convenience stores (OXXO is a common chain) throughout tourist areas where you can find drinks, snacks, and a limited selection of canned and dry goods. For other items you will want to go a little further afield. You’ll find some fruit and vegetables at the Saturday morning Olas Atlas Farmer’s Market in Lazaro Cardenas Park, but you’ll find greater variety and cheaper prices at produce shops in the Emiliano Zapata district on Camichin at Lázaro Cárdena. 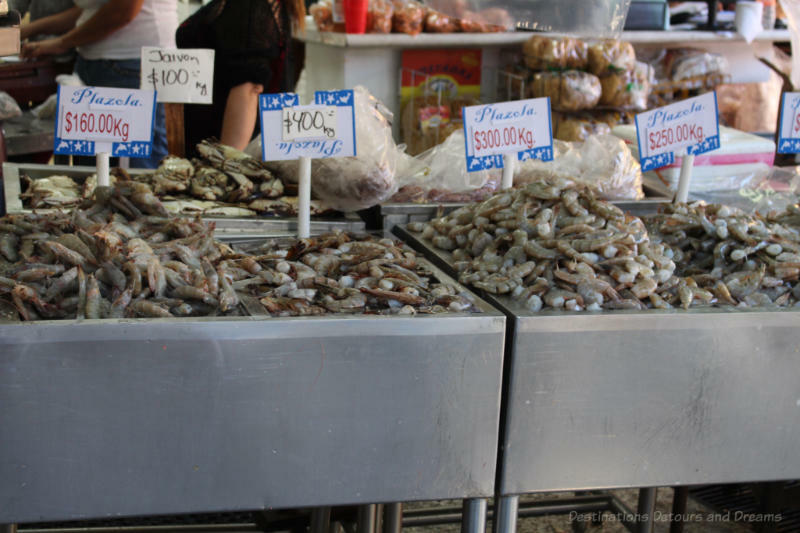 Mercado Emiliano Zapata on the corner also offers meat, chicken, fish and tortillas made on site. Note that the shops here close around 3:00 pm. 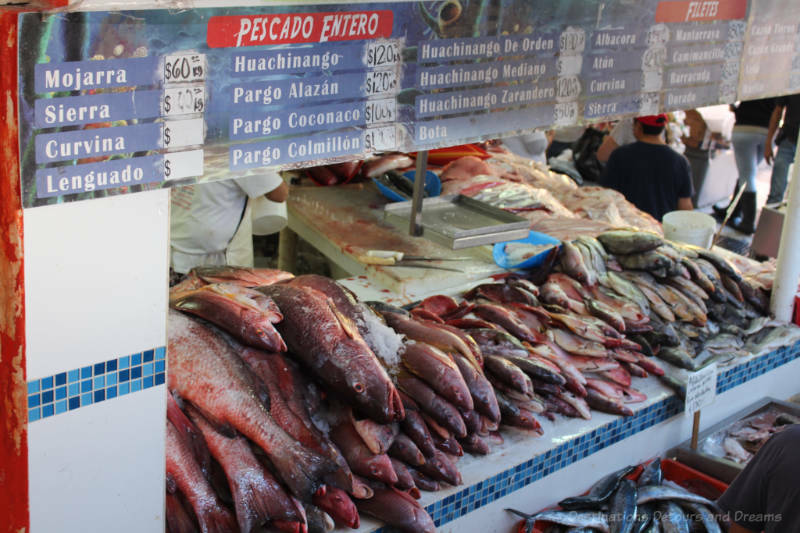 For a greater variety of fish, head to the city’s largest fish market Mercado del Mar on Brasilia across from the cemetery. This market makes for an interesting visit even if you don’t buy anything, particularly for someone like me who lives in the middle of the continent miles away from oceans. Ley is a large supermarket frequented by locals and tourists. It is located on Av México at Uruguay a few blocks from Hidalgo Park and is generally considered to be a little more economical than other stores. The second level contains housewares. Mega supermarket in the Hotel Zone is reputed to have an excellent meat department and a wide assortment of goods, but I didn’t visit the store myself to confirm that. There is a Walmart and a Sam’s Club located along the main road, route 200, between the Hotel Zone and the Marina. Both are easy to get to by bus (look for Walmart on the windshield). There is also a Costco in the Fluvial Vallarta district. 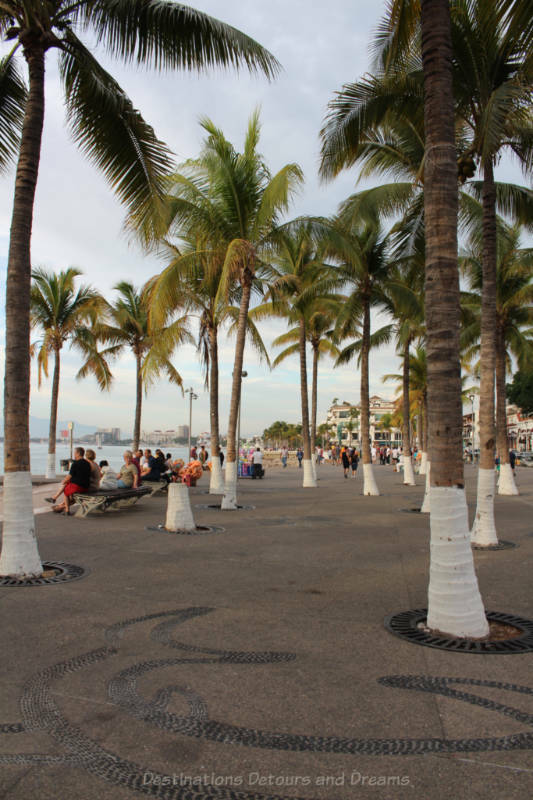 Note that Puerto Vallarta has no shortage of restaurants to feast at. You may choose not to cook at all! After you’ve bought that produce you need to ensure it is clean and safe to eat by soaking in an anti-bacterial solution. Microdyne is available at the produce markets, the supermarkets and some of the convenience stores. Instructions are on the bottle, but you generally add a few drops to water and soak vegetables and fruit for 15 minutes or so, after which you dry them off and they are ready to use. Do not rinse. It is advised that you soak even those fruit and vegetables you will peel. The act of peeling and cutting can transfer bacteria to the portion you plan to eat. Food seasoning is a matter of individual taste. I sometimes bring small amounts of spices or herbs with me when I travel to avoid having to buy larger amounts of spice than I can use on the trip. 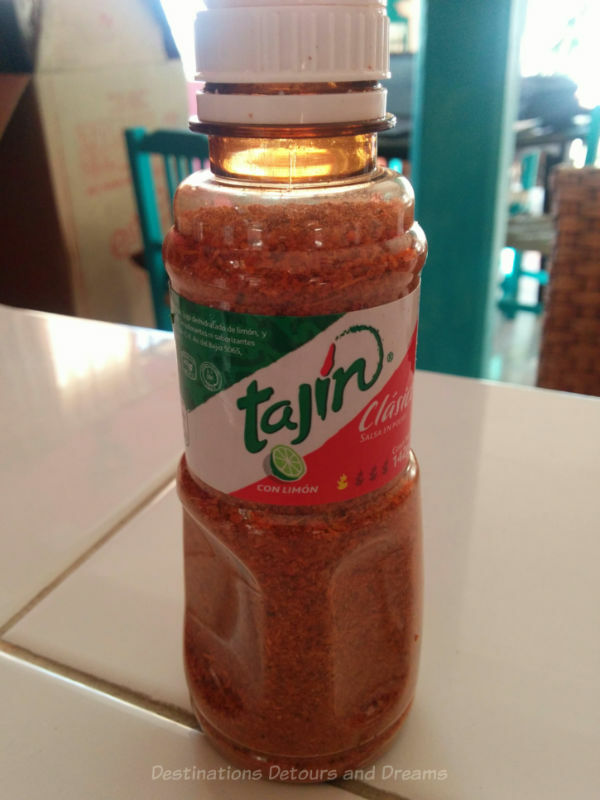 Tajin Clásico is a seasoning that is used on everything in Puerto Vallarta. It consists of chili pepper, salt and dehydrated lime juice. It is tangy but not overly spicy. We used it in salsa, guacamole and stir-fries. Even if you don’t purchase this spice to use in your own cooking, it is useful to know what it is. You may see it listed in the description of some restaurant dishes. The issue of dirty clothes arises any time travel extends beyond a week. 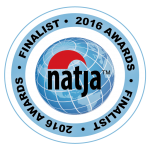 The problem is easily solved if your accommodations include laundry facilities. But what if they don’t, as was the situation with our condo rental? I washed some things by hand, using travel laundry detergent packets I’d brought with me. We also used one of the many laundry services in the Romantic Zone. You drop your clothes off and pick them up, clean and folded, at the end of the day or the next day. Pricing may be by weight or by numbers of clothing by type (e.g. one rate for shirts, another for pants, etc.). The price was quite reasonable. We never saw any self-operated coin laundromats. The unit of currency in Mexico is the peso. Many restaurants and larger stores accept credit or debit cards, but there are other locations where you need to pay in cash. Some places will accept U.S. cash, but not all and you will likely get change in pesos. ATMs can be found throughout Puerto Vallarta and require 4-digit PINs. Bank ATMs generally charge the lowest transaction fees and are least likely to be compromised by scammers. Make sure the ATM displays one of the brands associated with your card and follow standard security precautions (be aware of your surroundings, etc.). Note that instructions will be in Spanish. 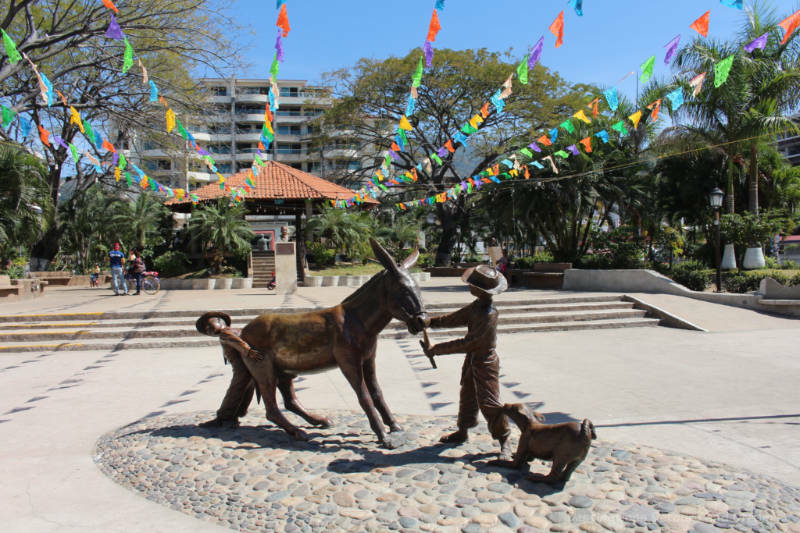 There is a lot to see and do in Puerto Vallarta, as you can find out from the tourist agency, travel guides and various blogs and travel sites online. 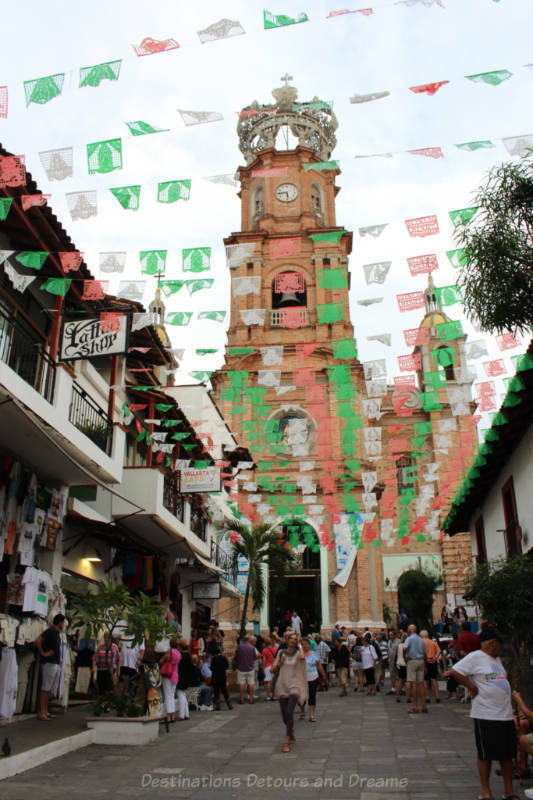 Two free weekly English-language newspapers Vallarta Tribune and pv mirror contain information on ongoing events and events occurring in the upcoming week. Look for copies at various businesses and galleries. Taxi fares the world over seem to be subject to driver creativity. It is one of the things that has made the taxi industry so vulnerable to disruption by services like Uber and Lyft. Ken, taxi fare creativity may be one of the reasons the industry has become so vulnerable to services like Uber and Lyft, but I think there are other factors too, such as a shortage of taxis in some cities, surly drivers and cars in deplorable conditions. 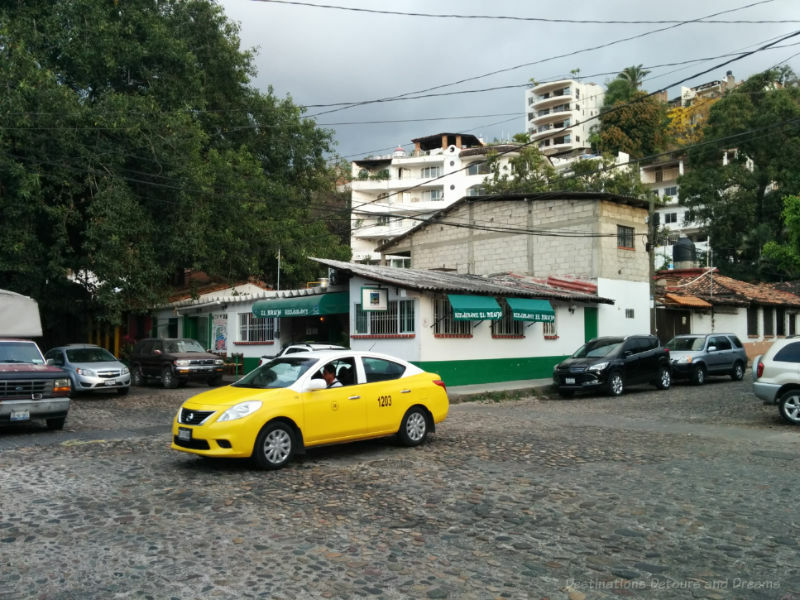 Uber does operate in Puerto Vallarta, but I never used it. Taxis were plentiful and cheap, even with some variation in price. Fantastic post, Donna. 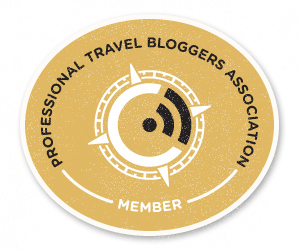 You’ve covered everything we know about Puerto Vallarta. I don’t recall tasting the Tajin Clásico, but will look for it the next time I am there. Thanks Doreen. 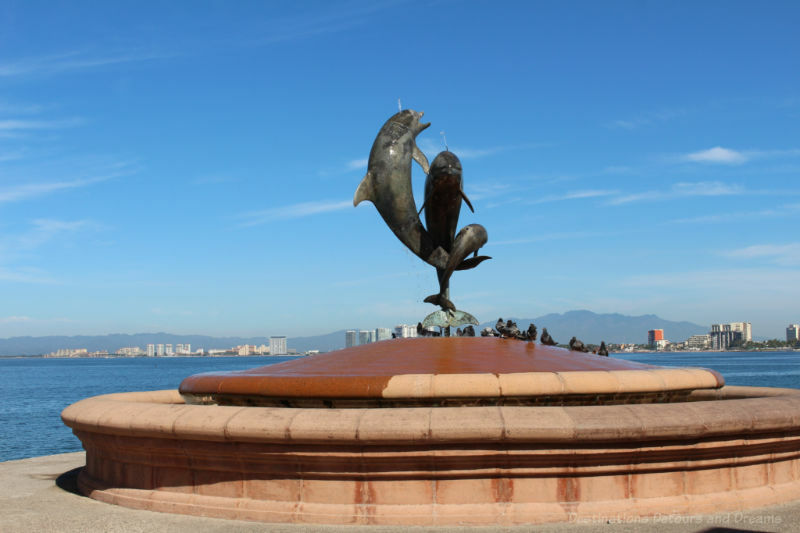 Writing this make me eager for another visit to Puerto Vallarta.